If you want to increase your trading performance – get more profits from your trading with less risk – then you need to read this article about Volatility Breakout Trading. After reading this article, you should have clear understanding of how volatility breakouts work and how you can start to implement and profit from volatility breakout systems in your own trading. Most traders trade without a proven plan and as a result they often fall victim to ’emotional’ and ‘reckless’ trading. Professional traders capitalize on the emotional whims of amateur traders by using simple but effective trading methodologies. There are only 3 things that you need to know about how to trade effectively: when to enter a trade, when to exit a trade, and how much of your capital to put at risk. When do we enter into a Weekly Volatility Breakout Trade? When do we exit a Weekly Volatility Breakout Trade? Subtract (for long positions) or add (for short positions) 10% of last weeks range from / to the Monday ‘open’ price: this is our protective stop loss. If the trade has not been stopped out for a loss we exit the trade the following Monday open. How much do we risk on the trade? 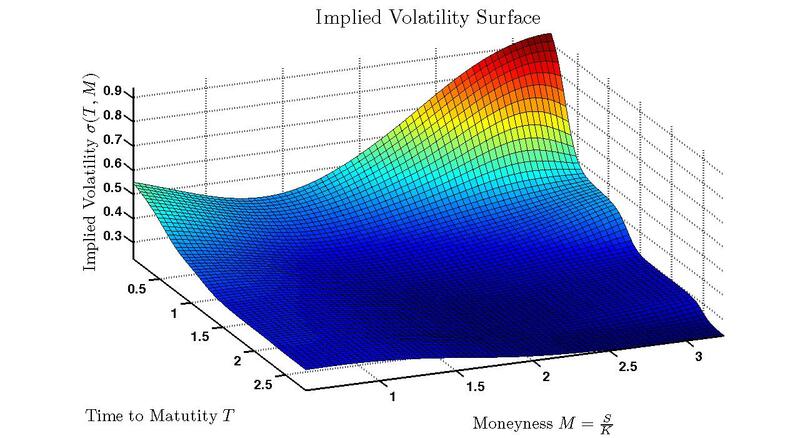 Risk is a function of ‘position size’. The larger your position – the larger your risk. Trade risk should be predefined as a percentage of your account prior to placing any orders. Risk management is an integral component of our Forex Signals program and all of our clients receive advanced risk management position sizing technology which automatically calculates position size on all trades in less than a second. Let’s take a look at a recent example of Volatility Breakouts in action. 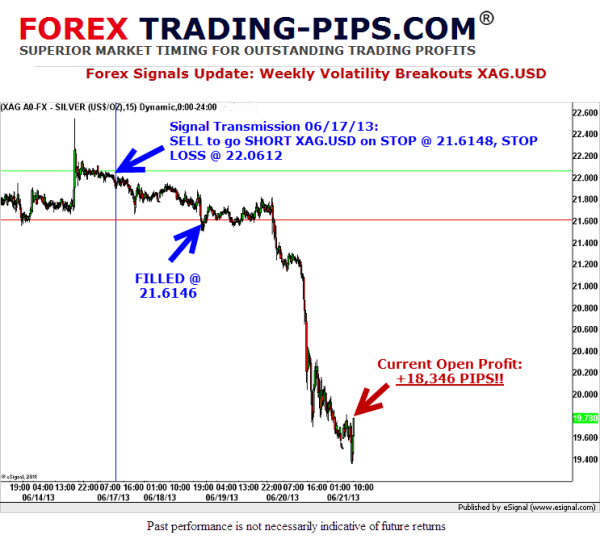 This week our Volatility Breakout Systems took us SHORT XAG.USD in our Forex Signals Program which trades across multiple systems, markets and time frames. Trade Entry and Protective Stop Exit are marked on the chart below. We are currently in profit by +18,346 PIPS profit (1 pip = 0.0001). We plan to exit the trade Monday morning for what looks to be HUGE gains. Volatility Breakouts are an incredibly effective way to capitalize on explosive ‘fat tail’ moves in the financial markets and any trader who is not utilizing this methodology in their trading arsenal is definitely missing out! A large number of traders and investors have continued to buy gold and silver in recent weeks as the price has collapsed… These traders are now getting washed out and wiped out of their positions. Once you have a clear understanding of when to enter, when to exit and how much to risk using robust trading systems and methods you are way ahead of 95% of other traders in the markets and you can expect to earn an incredible living from your trading.